Tired of riding solo? Think the journey would be a breeze on a bicycle-built-for-two? For my guy and me, morning worship is the apex of our Sabbath. This past Sunday afternoon sloped off like any ordinary day until a scheduled meeting was postponed, and suddenly the time previously spoken for broke open like a geode. Blessed with a gift of hours, we recalled a gift certificate to a local cyclery gathering dust in the bureau drawer. But hey, if anything’s easier than peddling a two-wheeler it’s doing it with four legs, right? So with a tire inflated here and a seat adjusted there, we hopped on and set off. So if you’re fixing to try riding tandem, let me tell you what we’ve learned. It’s natural to wobble a bit at first. You’re working as a team now, remember? It takes time and practice to learn the rhythms of grace of riding with a partner. Lean into the curves. Life throws them at you. If you’re bending one way and your spouse insists on the other, slow down and get your signals straight. Prepare properly before you set out. We’re grownups, right? People have been riding bikes since like forever, so who needs counsel? We did. “You won’t get far with a chain like that,” the technician observed. We listened, made some adjustments and were better for it. 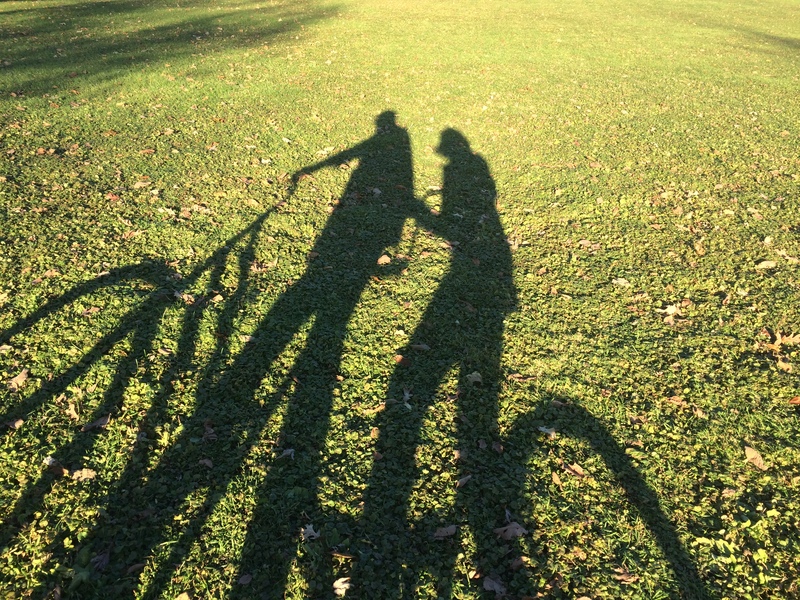 Riding tandem gets easier with practice. Gosh, tell us something new, please. But it’s true. Farther down the path we were starting to peddle in sync. So yeah, you can go faster alone maybe, but you can travel further together. 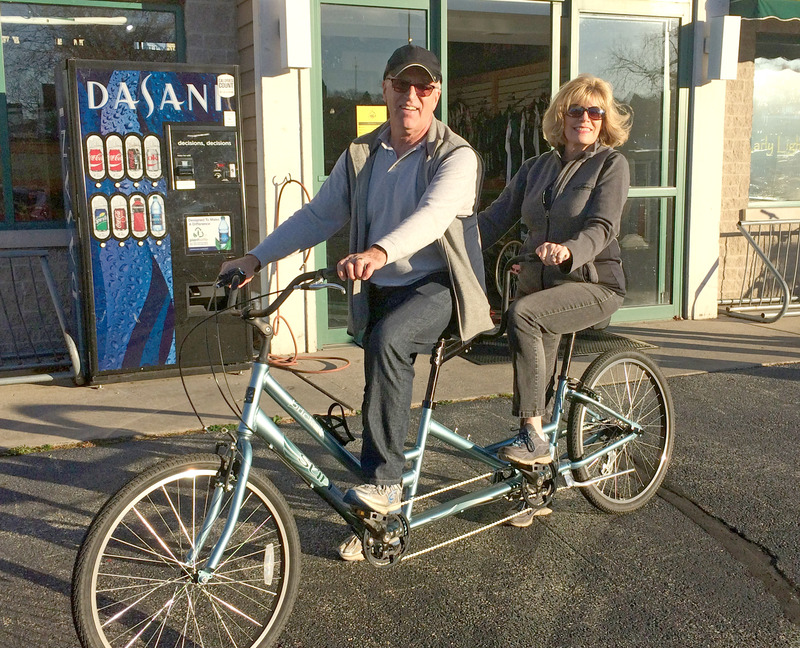 We’ve been riding tandem for nearly 40 years, Mr. Bike Man. And yes, it’s been worth the ride. Every mile and every minute. If you are following this blog, you have joined 2,388 other amazing people. That’s great, Maggie. What fun!! Cindy, we found the header photo on a free site – it was taken in Korea, of all places! Looks like Scotland or the Blue Ridge. It’s symbolic of my past (we raised sheep), present (pastoral ministry) and future. May 1, 2016 will make it 40 years. What a great ride it has been!!! May 1, 2016 will mark the 40 years. What a great ride it has been!!!. Proud to be your daughter! Lynn, what a pleasure to hear from you! Yep, we are still peddling along. Thanks for stopping to say hi!! Love the pic and the story with it! Thanks Katherine! that means a lot coming from such a great writer.